Transformations in the port region are ever more visible with works in full progress in Porto Maravilha and the first real estate launches. Forgotten or unknown sights of the city were (re)discovered with the removal of the Perimetral viaduct. Perceptions of doubt and suspicion towards the urban operation were then transformed into a hurry to see everything ready. Also, the region is now seen as a great space of opportunities. After more than four decades of abandonment, improvements in the quality of services in the area are already perceptible, even if infrastructure and urbanization works are still in progress. Although advancing in good pace, the process has its own time to finish. When it was created, Porto Maravilha had as purpose the economic and social development of the region and the valorization of its material and immaterial patrimony. One of the obvious effects of these urban transformations is the valorization of real estate. Another one is the creation of thousands of opportunities for new enterprises and more qualified jobs. The first effect appears in the operation’s initial moments. The second, as discussed in an article published in the previous bulletin, is related to what we call construction economy - also of an immediate but transitory character, like major events economy and the region’s new economy. This last one (new economic dynamics), perennial, begins to give its first signs with real estate launchings. Real estate valorization and the coming of opportunities are not linear processes. They are unequal and combined in time and in intensity. From a strategic point of view and ever since the beginning, we treated the creation of opportunities as an antidote to prevent real estate valorization from having a negative impact on the local population. In fact, the assumption is that public policies should not force people to leave their homes, unless in situations of public health or safety. Even cases that demand urban space restructuring should seek for negotiated solutions. Likewise, public policy cannot obligate residents to stay where they are. Better opportunities should be offered allowing people to make their own choices. This is what we are doing in Porto Maravilha. Strategies to strengthen micro and small companies and for professional qualification are gaining structure and rhythm. This way, residents, workers or entrepreneurs are invited to participate as protagonists in the building of this new economy. It is interesting to notice that the residents’ initial concerns have dissipated. They already see new horizons. But it is also a fact that demands and conflicts continue to happen as part of this transformation process. This movement is fundamental for the success of Porto Maravilha in its purpose of socio-productive inclusion. The link between patrimony valorization and economic opportunities has proven to be a right choice, especially in this initial phase (it is worth remembering that the operation has a time limit of 15 years, renewable for more 15, and effectively began in 2010). Cultural and leisure activities strengthen the population’s self-esteem. 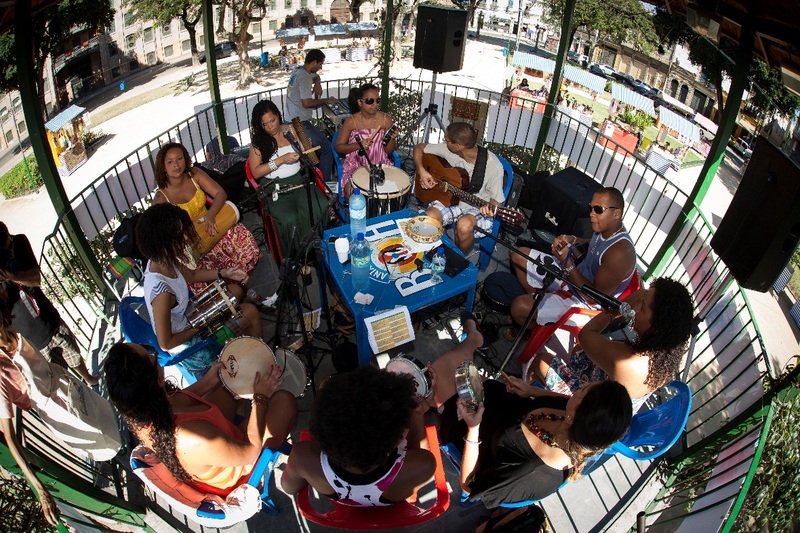 Traditional manifestations in conjunction with new activities and the creation of cultural equipments, such as the Art Museum of Rio (MAR), also bring almost immediate opportunities, most of all in the services segment of bars and restaurants. Moreover, the rise of cultural interest about the region is evident with the increasing number of guided visit groups on the weekends. 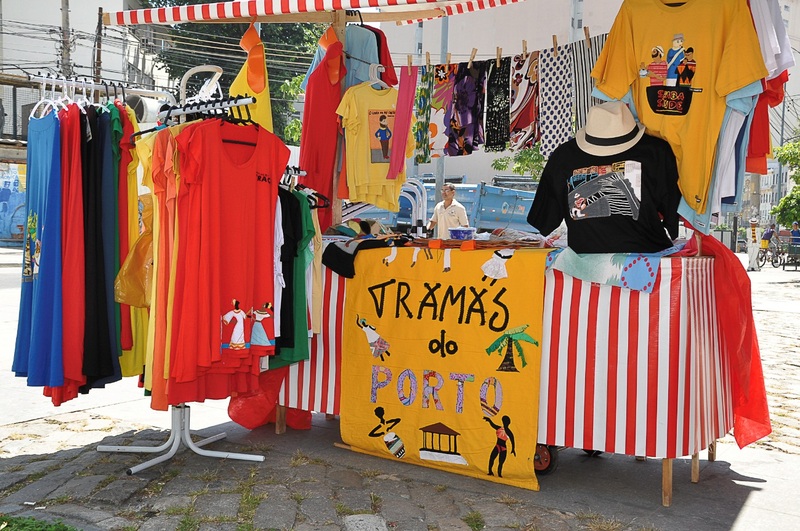 In this journey, the construction of Porto Maravilha as a creative industry hub begins, gathering actors that already existed in the area, such as the Fábrica Bhering artists and the merchants from Sabores do Porto, or Port’s Flavors (owners of bars and restaurants in Morro da Providência and Morro do Pinto), and new ones, like the Rua Institute (that produces ArtRua) and Information Technology companies. Regarding professional development, focus has been given to the bars and restaurants sector. This includes assistance to traditional businesses, support to new entrepreneurs and partnership to prepare qualified workers. We are structuring a partnership with the hotel sector and, at the moment, we already have one thousand rooms distributed in three of the region’s hotels. Other three hotels, at the least, plan to initiate works until 2016, creating more employment possibilities. New spaces and new activities emerge with the conclusion of urbanization works. The Museum of Tomorrow operation starts in 2015. Furthermore, the city will have a new and green public walk, 3.5 kilometers long and with an area of 215 thousand square meters, at Rodrigues Alves Avenue, in the beginning of 2016. The AquaRio, the biggest visiting and research center of its type in Latin America, will significantly increase the Port Zone’s attraction as a place of opportunities. 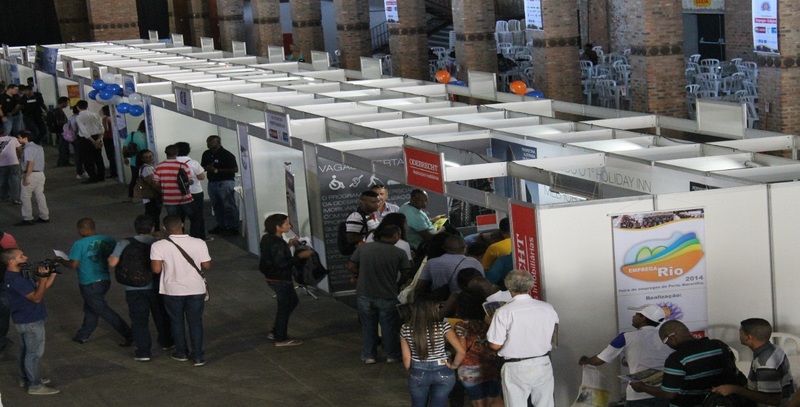 Partnerships with the Brazilian Service of Assistance to Micro and Small Enterprises, Sebrae/RJ, the Syndicate of Hotels, Bars and Restaurants (SindRio), the Federation of the Industries of the State of Rio de Janeiro (FIRJAN) and the Afro-Brazilian Incubator have been fundamental in this process to support the qualification of the region’s economic agents. And we continue to search for new partners to boost efforts. One legitimate concern is that Porto Maravilha should be a positive creation for the city as well as for its current residents and entrepreneurs. We are observant to this. The strategy in course shows that, in order to improve and valorize the region, perhaps we can improve as well the standard of living of its current residents from a perspective that this will become an ideal area to live, work, entertain, produce culture and, finally, to stay in. This way, the purpose to build a less unequal and more inclusive city will be accomplished. This text was originally published by Observatório Sebrae/RJ in Boletim semestral nº 5, August 2015.